Why Are Sales Down At Farmer's Markets And What Can Be Done About It? Lindsay Record has been Executive Director of the Illinois Stewardship Alliance for more than a decade. Her tenure witnessed a renewed interest on local food and sustainability. And one of the places that was most visible was at farmer’s markets. But the crowds have begun to taper off, at markets in Springfield and other locations in the state. “I think we were riding that wave of people having that increased attention to the effects of what food they purchased on their health, their community, their environment. And farmer’s markets did, they reaped the benefits,” she said. Record said she’s heard from farmers who have been selling at the markets for years who point out the drop. There are no overall numbers to back that up, but some growers say sales were down as much as 50 percent. There’s no research to show why, but she has some ideas. “Convenience foods and the increased availability of these ready to eat options. Whether it is meal delivery services like Blue Apron, I know is a popular one, which delivers meals that are ready to be cooked at your home right to your door. I think grocery stores have more prepared and ready to eat options,” she said. Another factor? “Increasingly, people don’t know how to cook,” she said. Record is leaving her job, which kept her behind a desk most of the time writing grants, working to help decipher complex government regulations and working for change. She said she missed getting out in the community and getting her hands in the dirt. She has applied for an AmeriCorps grant where she would work closely with Grow Springfield and community garden projects. 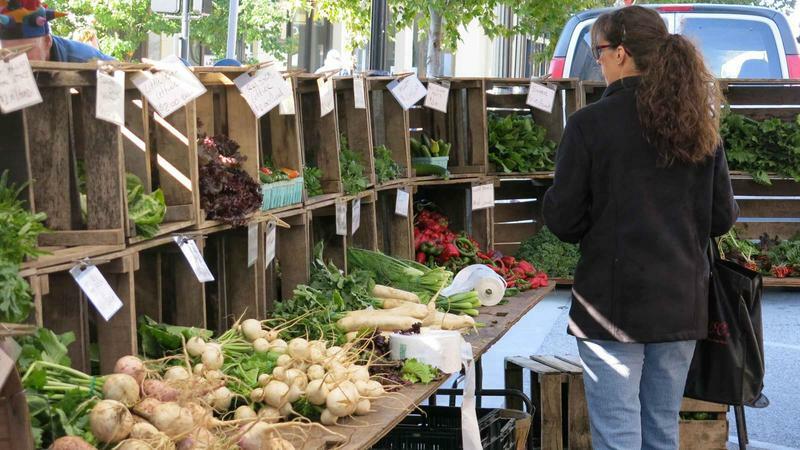 Record said the Illinois Stewardship Alliance, which oversees the Downtown Springfield Farmer’s Market, will have to address the issue of market attendance. She points out an area that seems to be growing. Her group has worked to promote local food through the Buy Fresh Buy Local campaign and promoting locally sourced dinners at restaurants. That work will also continue.